This past Friday, I received a call from a 408 number (San Jose). I didn’t have my headset hooked up and by the time I got it connected, the caller had hung up. My thinking at the time was that if it was a salesperson cold calling me, they’ll leave a message. So I waited and refreshed my Google Voice to see the message, but found nothing. I waited several minutes more before refreshing again, and still nothing. By this time, I was really curious, and the headset was now connected. So, I clicked on the number to return the call. Google Voice lets you do click-to-call even in Gmail, so returning calls was a snap. However, all I got was a recorded message telling me that the voice mailbox was full. Even more curious now, I ran a text search through my Google Voice messages to see if someone from this particular number had called before. I wanted to know who they were. I was mildly shocked to find that someone from this number had dialed me regularly for the past 10 days, every day, twice a day. Not once did they leave a message. Knowing that scammers will occasionally pull stunts like this, I performed a search in Google for the number and discovered that this number had a history — an ugly history. Called 3 times over the previous 2 days. Let all calls go to VM, caller never leaves VM. Two calls today, one saying he was from Comcast and the other saying she was from Dell. Prior call a couple of weeks ago from same number said a third company. In all cases they want to send me a white paper. Not sure what the angle is. I asked both of today’s callers why I was receiving calls from the same number claiming to be different companies, but they acted like they didn’t quite get the question. I have received 2 calls today from this number and the caller will not leave a message. Man with an accent called looking for our IT department. Wouldn’t say what the nature of the call was or who he was. Caller claimed that we retained a database through his company and that he needed to speak to the IT manager. When I told him I was it he started to request information about my contact info. I then proceeded to tell him that we have never dealt with the vendor he claimed association to and that I would be giving him no further information. Instantly the line went dead. Some of these are entertaining. 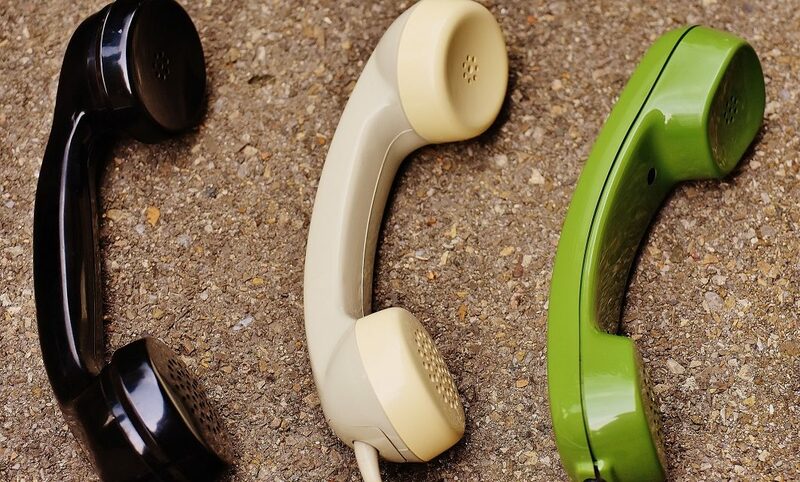 But if we review these entries and look for patterns, we can gain some insights on what we need to do to make our cold calling sessions more effective. There is some discussion over which is more effective: leaving a voicemail or not leaving a voicemail. But consider this. Most spammers don’t leave a message or a way to get back in touch with them. Do you really want to be lumped in with this group and risk having your number blocked? Or the IRS, Dell, or any other place for that matter, unless you work there. This old school tactic doesn’t work anymore. You are calling to conduct business and have something of value. You don’t need to hide. Most scammers don’t know the name of their referring resource. They use lines like “Your CEO told me to call you” and their information is vague. When using referrals, use names and be specific in your requests. Don’t call into your target company and use your contact as a phone directory. There are a number of resources on the Web that will give you that information. And just in case you can’t find information on your contact online, there are respectful ways to obtain the information you need while remaining tactful and charismatic. Remember that any “gatekeeper” you connect with typically wants to know three things: who you are, what company you are with and why you are calling. Even if the person you are speaking with is not your target contact. Treat everyone you contact like a person. Unless, of course, you have a reason to do so. Establish a need and create value before you send out your white paper. Arouse in your contact a serious desire to read the white paper instead of using it to line the bottom of their bird cage. You can’t get something, like contact information or permission to move forward in your sales process, unless you give something to them, such as useful information or a promise of potential gain. What about you? What other cold calling ideas can you see in this online list of bad calling behavior?